When we last spoke in February we had been running the training course for just over 3 weeks. Well we've now been going for 17 weeks and our first bunch of trainees are very nearly ready to graduate and start working from home. 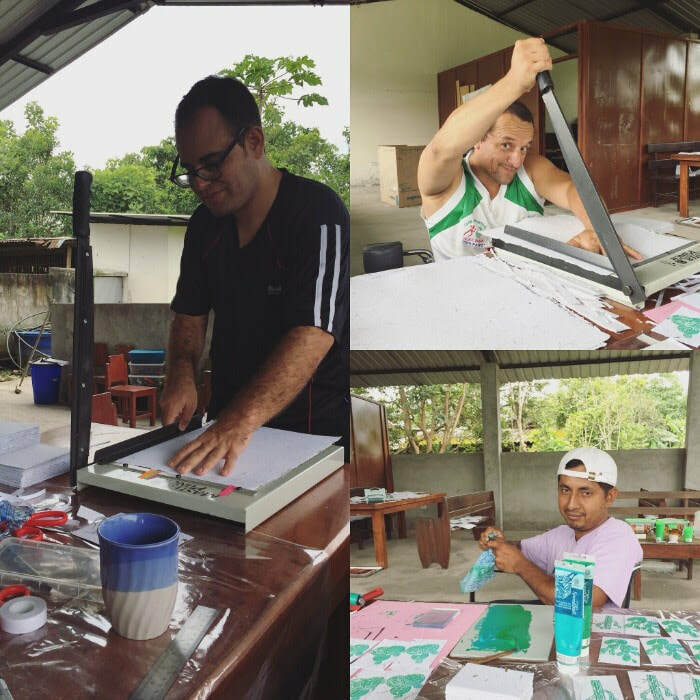 Federico, Pedro and Ramon have mastered all the paper making techniques and are making very good progress with learning the production methods for the different designs of cards Lydia has created. They've all shown a good eye for detail when making the cards and they have been consistently producing cards of a really high quality for a number of weeks now. Unfortunately for the past couple of months Annabel and Fatima have been unable to come out to the training center due to childcare issues. We are going to visit them soon in their home with some jewellery designs which will hopefully be easier for them to make at home and they can continue to be part of the project. It's really important that we are able to be flexible with different people, there is no one size fits all strategy that can work for everybody so adapting and working to find a solution for individuals is a part of the job we are learning quickly. We are so impressed with the speed of learning of all the trainees but particularly with Federico who has shown massive improvement over a relatively small space of time. 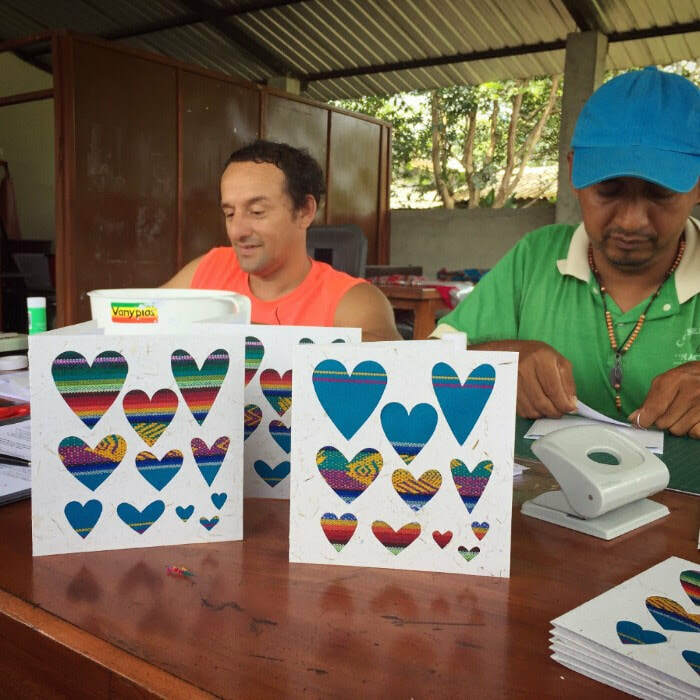 When we started the card making training he was struggling to measure and cut accurately and was not quite able to make a product that we could sell. 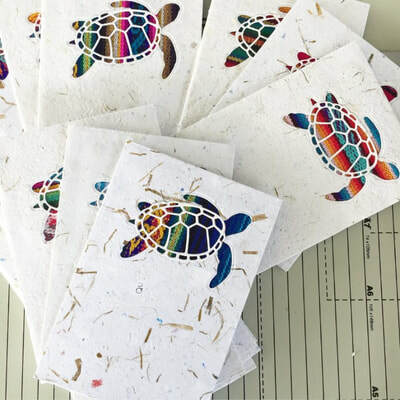 However after many hours of hard work, practicing over and over again under Lydia's careful guidance, he has made huge steps forward and is now able to make near perfect paper and cards. It has been so wonderful to see his confidence grow as Lydia worked patiently with him and it's a timely reminder that we must never write people off. We all too often focus on people's disabilities without recognising everybody has a multitude of differing abilities and that actually by spending some time working on those abilities with loving encouragement to keep trying when it's tough, they are able to do something they never imagined they could. 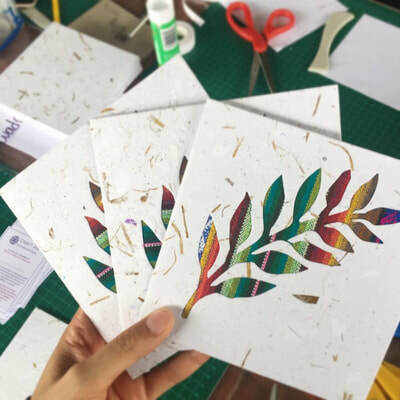 As the trainees have been mastering the art of paper and card making we have been able to start producing products during the training sessions. 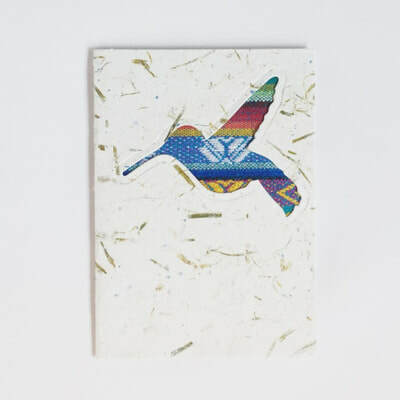 As mentioned in the previous newsletter when Susie left Ecuador in February she spent a day in Quito taking the cards to various shops and asking if they would be interested in stocking them. 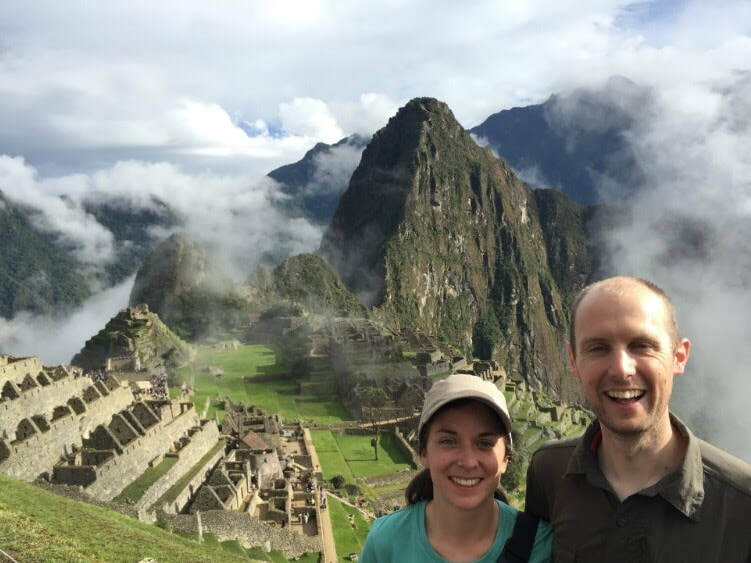 She had quite a few positive responses so Lydia and I followed up a few weeks later with our own trip up to Quito. The great news is we now have four shops who are stocking our cards and they have been selling them like hot-cakes! We've had a display stand made to show the cards off in their full beauty and a leaflet printed that explains all about the project and it's importance to the lives of those we are working with. The shops are all around the historic centre of Quito which is very popular with tourists who are the target market for our cards. We're now making trips up to Quito every month armed with hundreds of cards to sell to the shops and we've been blown away by the response we've been getting to them. It's a really clear sign to us that the project has a real future here in Ecuador and we are so grateful to God for providing those shop owners who were willing to take a chance on us and have been incredibly supportive and constructive towards the project. 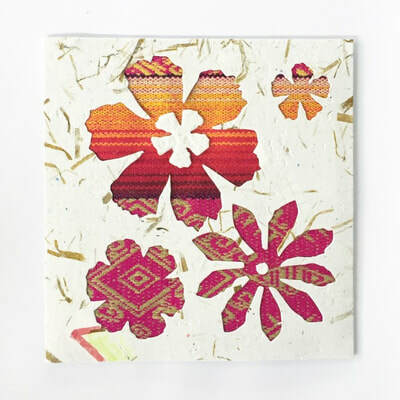 We're also selling them out of a hostel in Quito called "Casa CarpeDM" where we first stayed when we arrived in Ecuador. It is run by really wonderful people who are selling them on at cost price making therefore no money themselves, they even payed us more than we had asked for them as they felt it was a better price. So if you're ever in Quito you know where to stay! Thank you to all who have donated, it really is making a massive difference and we couldn't do this project without you. If you haven't yet donated and want to, please use the button at the bottom of this newsletter marked 'donate here'. Thank You. We've now been living in Ecuador for over a year and in San Pablo de Chila for 8 months so we are feeling more settled in our environment. Mercifully the weather has not been too bad, although clothes do have a habit of going moldy here in Santo Domingo due to the humidity! Let me take you on a quick tour of this amazing country now that we've had a year to soak it up. There are 4 distinct regions that make up Ecuador and one of the incredible thing about this country is the diversity between them; in society, language, food, culture and the weather. Firstly you have the Galapagos Islands which, naturally being islands, have a changeable climate but mostly warm and wet. There are around 30,000 people living across the 5 inhabited islands, most of whom have moved there since the 1970's. There are still however some direct decedents from the first people to move out to the islands in the 1800's when Ecuador began populating the islands as a defence from Peru. Secondly there's the coastal region (which isn't just the coast line but really runs from the coast all the way inland to the foot of the Andes) and is where we are living. Here it's mostly hot and humid, around 28 degrees in the day and 22 at night. We are currently in the wet season but this is one of the driest on record. It still feels like the world will flood when it rains although this is exacerbated by having a metal roof, you honesty can't even hear someone talking next to you when it's really coming down. Coastal people talk quickly and use quite a lot of slang so it's been a bit of a struggle to understand people some of the time. Everything in the coast is a bit louder than anywhere else in Ecuador, it's definitely the brashest and most extroverted region. Thirdly there's the Andes, which runs north - south down the middle of Ecuador. Here it can be hot but much fresher than the coast and, depending on the altitude, it can be literally freezing at night. There are many volcanoes which are more than 5,000m high and permanently have snow on top, unless it's erupting and then that snow quickly melts! People talk more slowly than their coastal neighbours and are generally more reserved in nature. 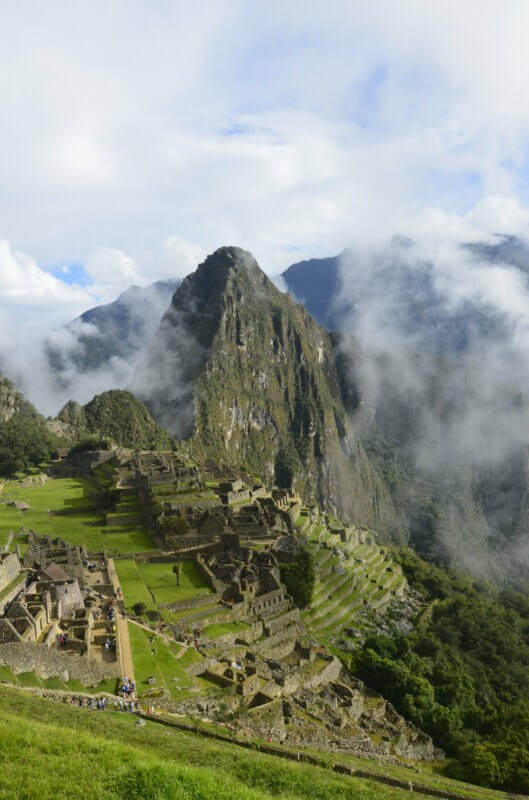 There is also more Kichwa spoken which is a variety of Quechua which is the ancient language of the Inca empire, it is also still spoken in Peru, Bolivia and Columbia. 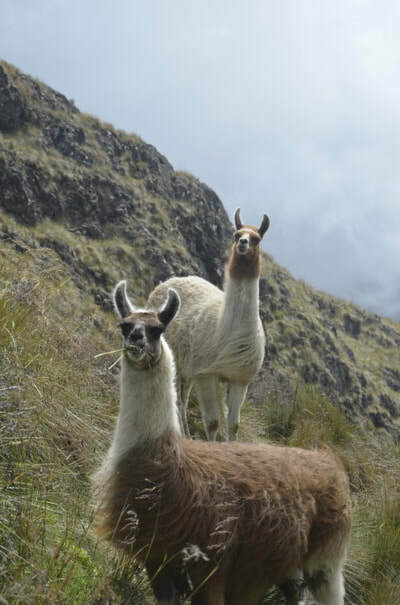 In the Andean countryside you still see a lot of women in traditional dress; brightly coloured skirts, thick tights, alpaca wool shawls and felt hats to keep out the cold. Lastly there's the jungle which to the east of the Andes. Here it's hot, humid and very wet and I am so very happy I don't live there, Santo Domingo is hot enough thank you. Again there are quite a lot of Kichwa speakers as well as many other languages, sometimes only spoken by one village of a few hundred. There are also some tribes who live in "chosen isolation" that is they know of the outside world but have chosen to have no contact. 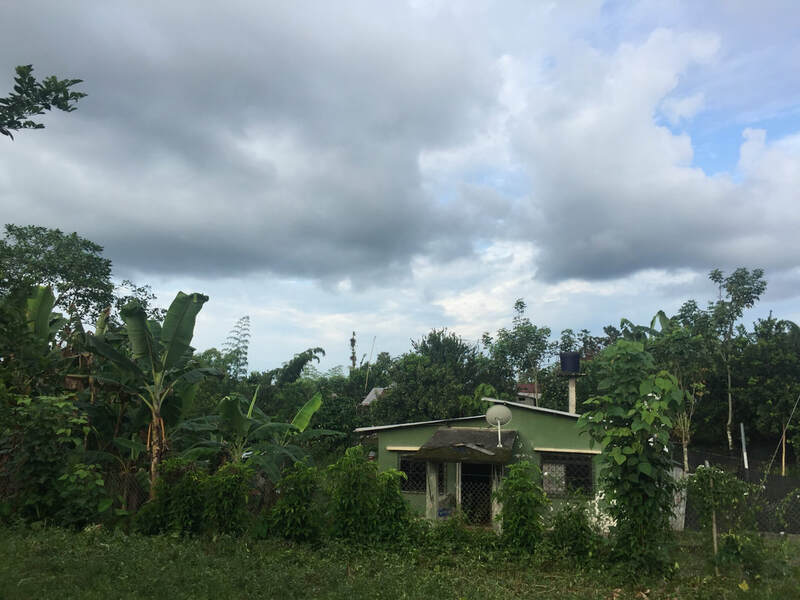 They live on enormous reserves which have "protected" by the government although there is serious unrest about how that land is being used with allegations of illegal oil drilling and deforestation. The natural and human diversity that is contained in the same country is quite astounding and unlike anywhere we've ever been. What's awesome is that you can experience it all in a 6 or 7 hour drive from the coast, over the Andes and into the jungle taking in all those different languages, foods, climates, clothes, cultures and yet still be in the same country of Ecuador. As mentioned above we have been in Ecuador for over a year now and are beginning to feel a little settled in. Our language is coming along slowly but surely and we can now have conversations that consist of a little more than "what's you name" and "how old are you". People have been really welcoming to us, inviting us to parties like the one in the photo above and helping us get involved in a social life. It's lovely to be invited but it's also so tiring to go to something like a party when you have to concentrate very hard just to get a vague grasp of what someone is saying and try and say something back. After a couple of hours my brain is shot through and I need to lie down in a darkened room for a while. We've also been getting more involved at church by joining the worship team. We play and sing whenever we can and it has been great to get involved a bit deeper in church life. Lydia has done an amazing job of learning the songs in Spanish, not easy when some of them go at 100 miles an hour. We've started to get to know people at church a bit more as well and feel more integrated in the church community so that has helped us in feeling a sense of stability living here. Again with the language we probably only get 60-80% of the sermon but google translate can sometimes fill in the blanks, if not we ask Sharon or Katy to explain what's going on! My parents came out to visit us for 12 days at the start of April, exactly a year since we'd said goodbye to them in the U.K. We started the whistle stop tour by bringing them down to Santo Domingo for Easter weekend. Neither of them were particular fans of the heat but it was great to be able to show them where we live and for them to meet some of our friends down here. 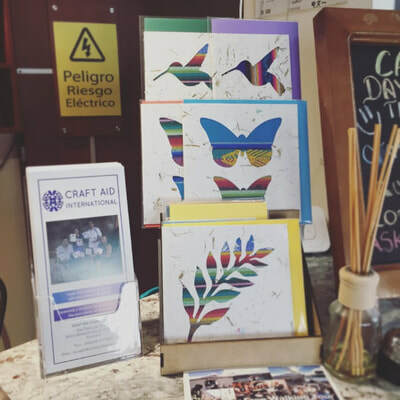 Then we headed back up to Quito where we had a great time showing them round, visiting the shops selling our cards so they could see them on display and doing some touristy stuff we'd been wanting to do for ages. 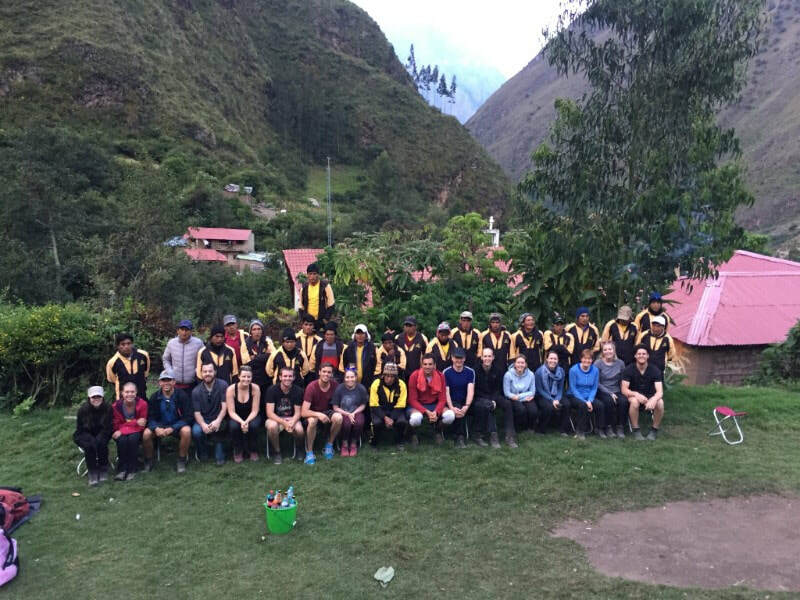 The big treat however was flying to Peru and hiking a small part of the Inca trail, finishing in Machu Picchu. It was an incredible experience and would fill an email all of it's own so let's just say it was amazing. We hiked for 4 days and camped for 3 (not especially comfortable) nights. There are no showers on the route so baby wipe baths were essential every night, happily everyone's in the same boat so when you stink so do they! The second days hiking was pretty tough, we climbed over 1,000m in that day alone to the highest pass of 4,115m. 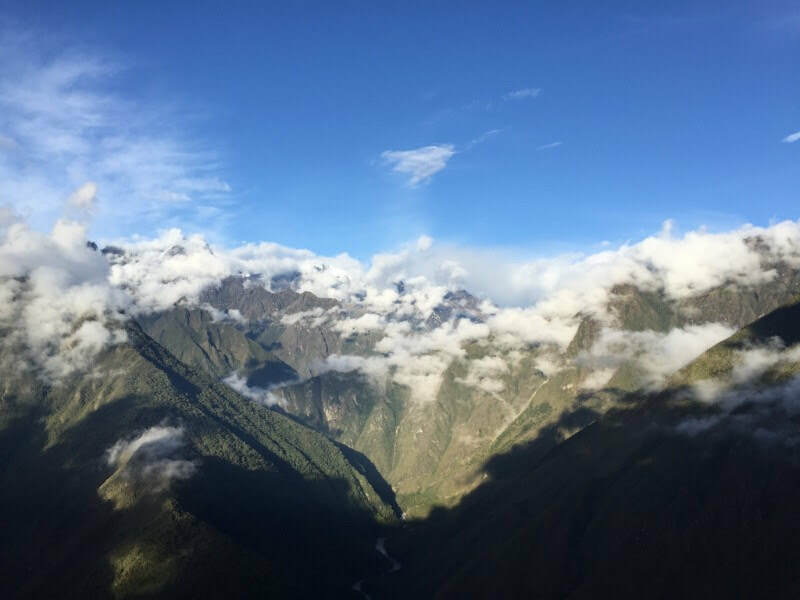 The altitude has a substantial effect, particularly when you're carrying a large rucksack, and you needed to stop every couple of minutes to catch a breath...mind you the views were certainly worth stopping to look at. The incredible guys were the Chaskis who moved all the equipment for the camps; cooking equipment, tents, chairs, the lot. They would pack down camp after we'd set off walking then run past us on the trail to get to the lunch site and have everything set up and lunch ready before we'd even got there. They then pack down after we've left from lunch and run past us again to get to the evening camp site, again having everything set up before we arrived. They did all of this whilst carrying at least 25kg's each and some of them were wearing sandals...they really are quite incredible humans! The 3rd night we camped about 2 hours hike from Machu Picchu and the following morning we were up at 3:00am to set off to the sun gate. From here you get an incredible view over Machu Picchu as the sun rises and after taking plenty of photos we walked the remaining hour to get to the site it's self. 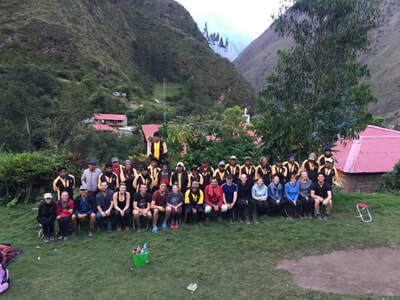 It was incredible to walk there just as the Inca's had done centuries earlier and see this town built 2,000m up a mountain, a real privilege of an experience. 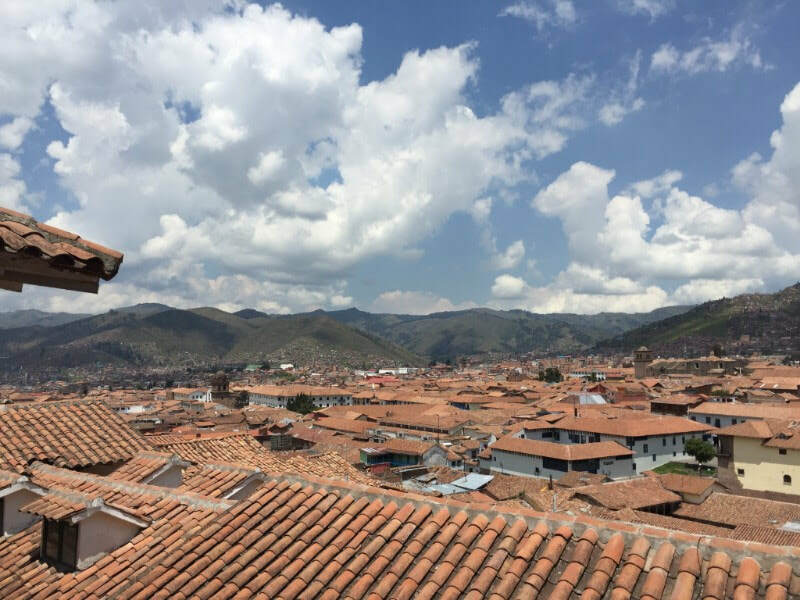 We then spent one more night in Cusco (where we had spent two days before starting the trek and is worth a visit in it's own right) before flying back to Quito and saying goodbye to mum and dad. 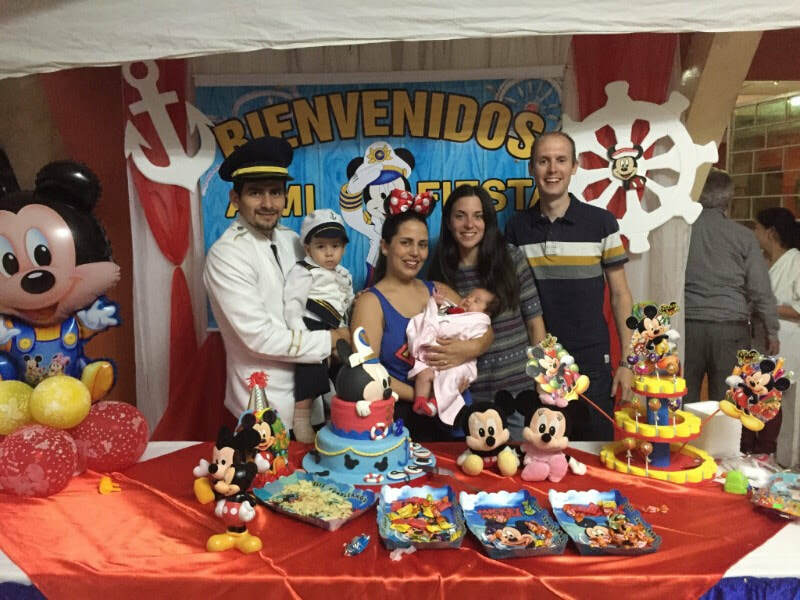 It was an amazing 12 days that went so quickly and we are very blessed to have had that time together and to be able to show them just a little bit of South America. So now were nearly finished training the first group and are in the hunt for people to make up the second group. Life is going well, God has protected our safety and our health and we are really enjoying beginning to see the fruits of the work we are doing here. We knew this was going to be a slow process but we believe doing things slowly and building them with the right foundations is the correct way to have a project that can run for decades to come and not just fizzle out in a couple of years. 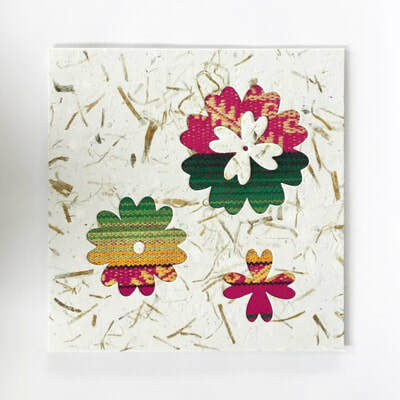 If you are wanting to get your hands on our cards they can be bought from a fair trade shop in Harrogate right now and the online store for Craft Aid International is being worked on as we speak. As soon as they are ready we will send out an email with the link so you can start having these beautiful cards in your lives. It's been a great 3 months since we last spoke, the project has been going better than we ever dared to dream and we are feeling more settled into life here. By the next time we speak we will have started training with another group and the guys will be working for themselves in their homes, all very exciting. That's about it for now, we'll be in touch very shortly but in the meantime don't forget to check out the Facebook page, Instagram and website to keep up with things going on here...just use the links at the bottom of this email to get connected!